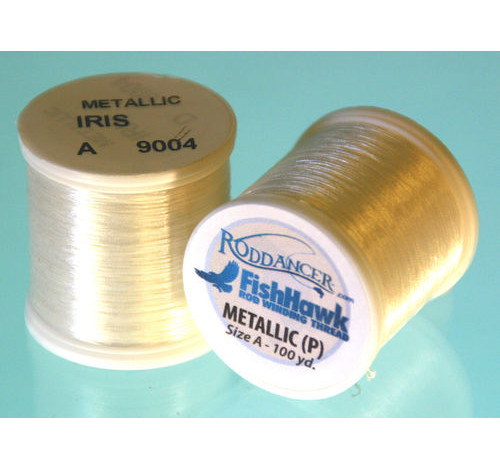 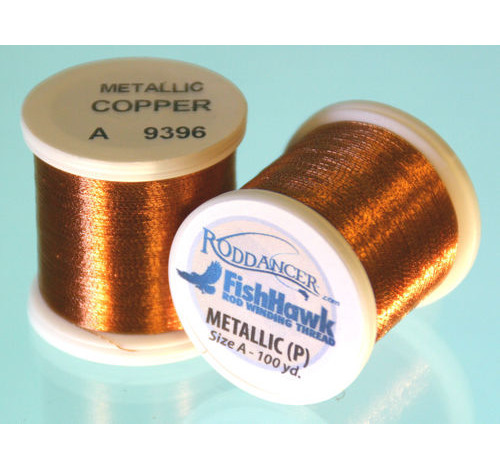 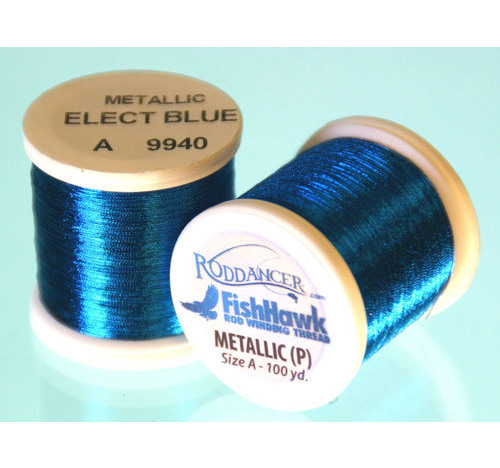 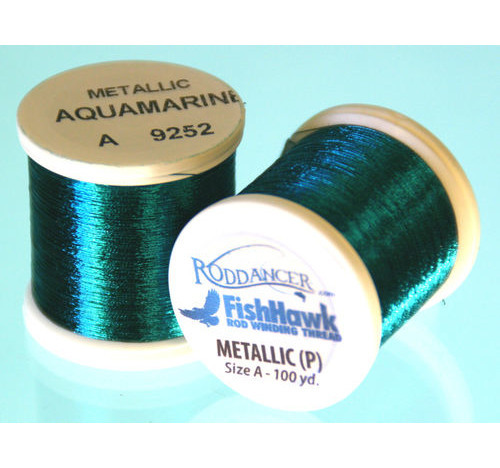 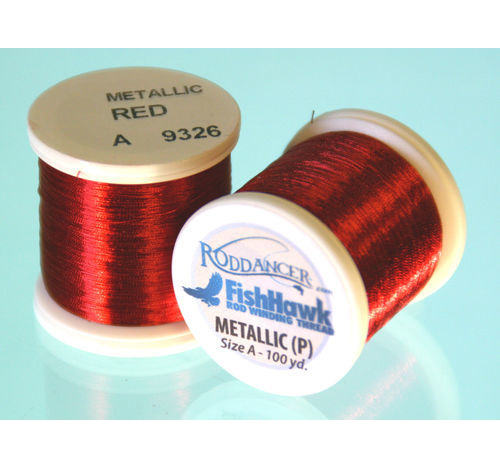 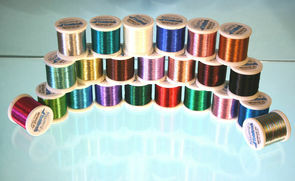 FishHawk Metallic (P) Thread are available in 23 stunning shades. The Metallic (P) thread has a strong polyester filiment core with a metalized foil wrap. 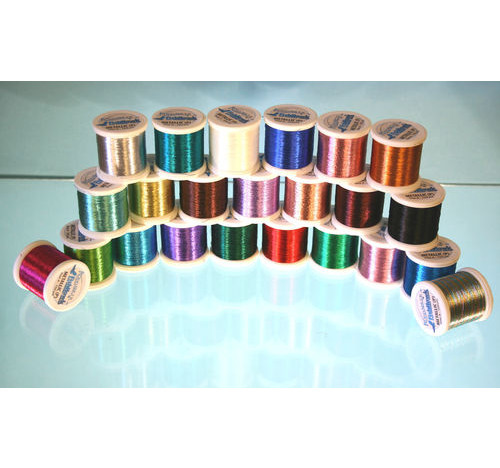 It is twisted in such a way that you will be provided with a shimmering effect.